I have a nice tip for picking up great deals at the Farmer’s Market. Go just before closing time, and you are bound to find some 1/2 price items. I did that very thing tonight on my way home from work. First, I am VERY lucky that my Farmer’s Market is literally down the street from my house so I can shop for fresh things and grab good deals a few days a week. Tonight I wanted to stop by and pick up a couple of pears … well because I was feeling like I wanted a pear tomorrow… and guess what I found on the 1/2 price table? 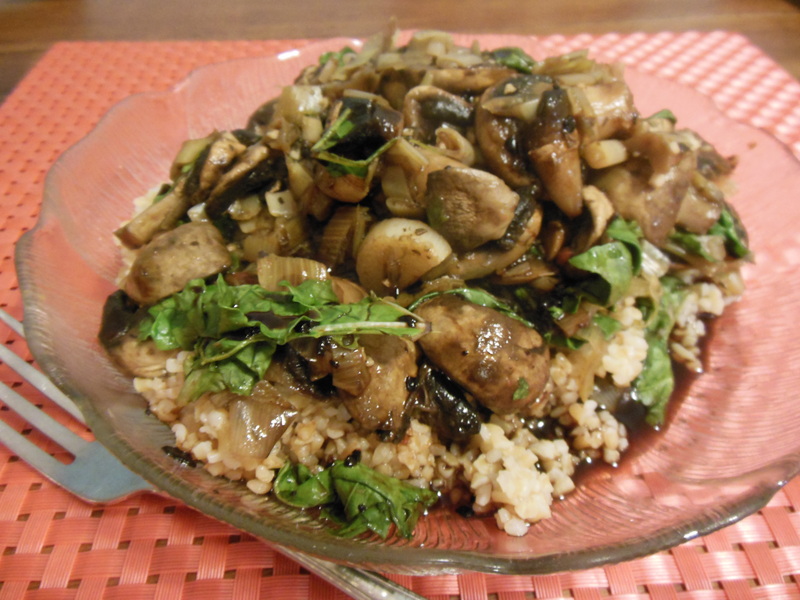 Leeks, green onions, mushrooms and some bib lettuce! To round out my purchases, I also snagged some dinosaur kale for only $2 a bunch, 3 sweet potatoes for about $1.25, a couple of zucchini, and bananas. Oh, right, I did grab my two pears! The total bill was only $9.90. 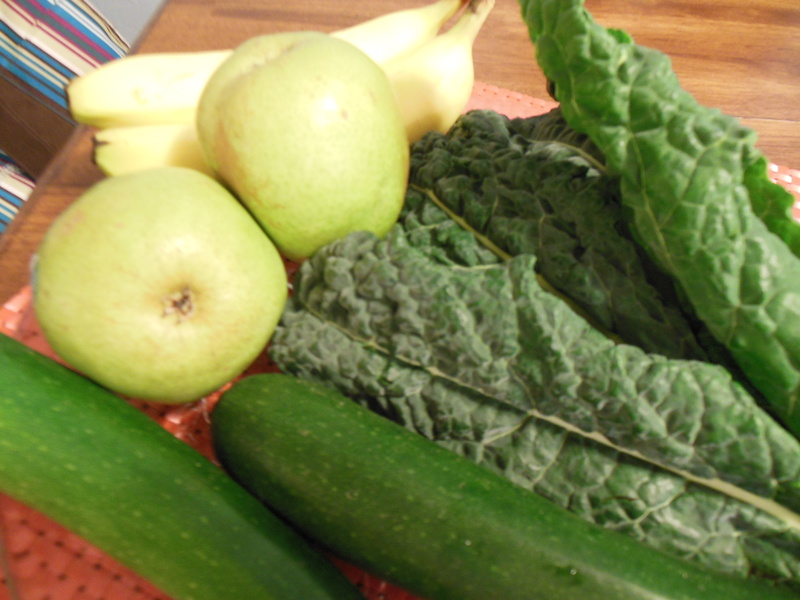 Really, you can’t beat that for fresh, organic (healthy) produce. 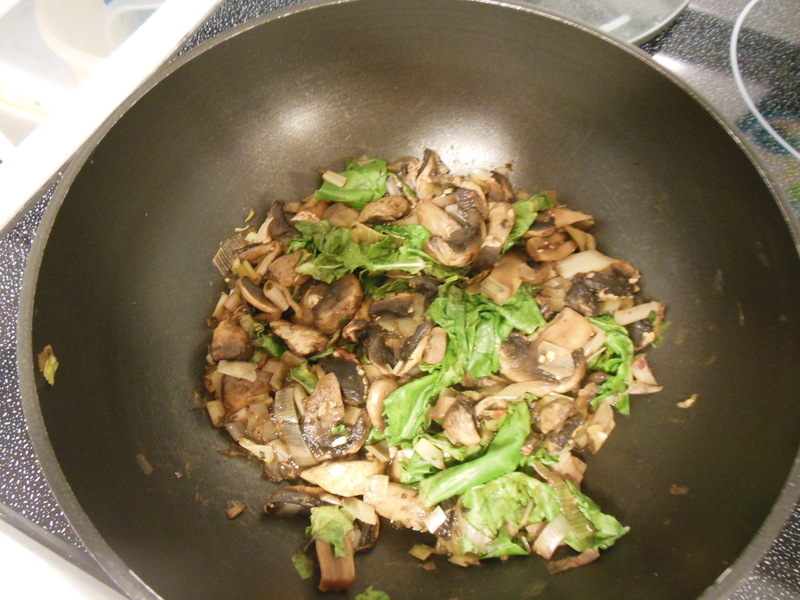 I’m home right now fixing a quick stir fry of the leek, green onions, mushrooms, and kale (I used vegetable broth and then added a pinch of dried oregano, 1 tsp of dried basil and a splash of balsamic vinegar). 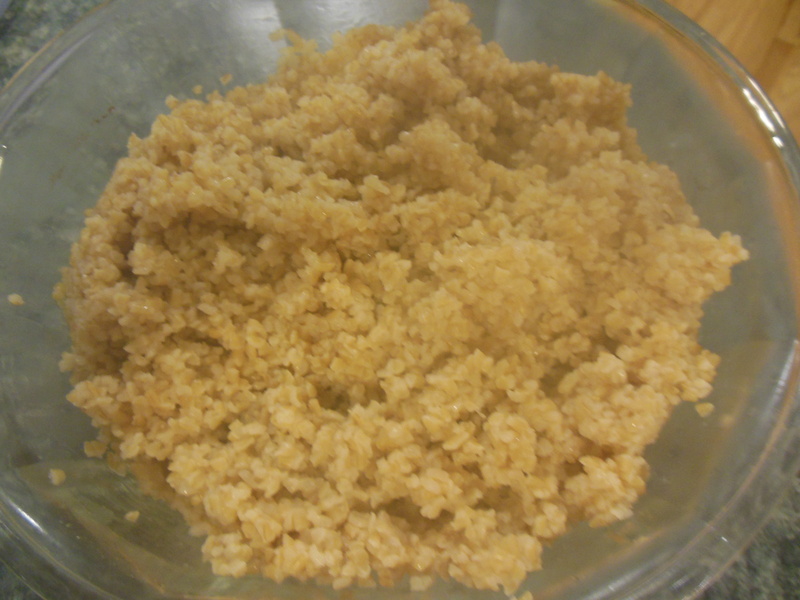 I will toss this over a cup of some bulgur which only takes 10 minutes to cook (bulgur is truly a snap to fix ) and I will be good to go for a quick dinner while I write this. 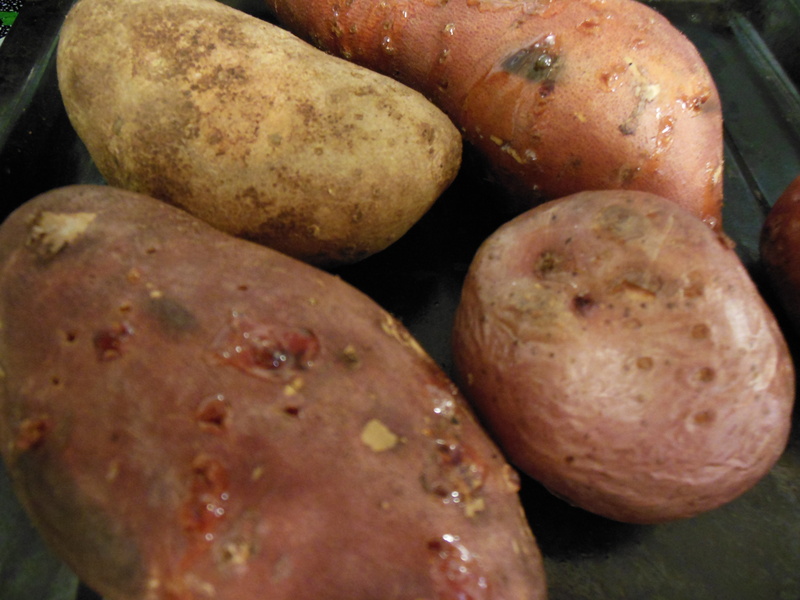 And while I was at it, because it warms up the kitchen so easily… I threw a few potatoes into the oven to cook in the background, and they will be good to go for me if I want to add them to something, or just enjoy a warm, yummy, sweet potato all by itself. They are lovely. Buy local! Enjoy your Farmer’s market today! !